Teeth straightening surgery is expensive, invasive and it takes months to recover from. So, why on earth would anyone want to do it? First, Not all of us are blessed with a flawless set of teeth that culminates in a gracious smile. Statistically speaking, most people in Western countries are in fact cursed with a set of teeth that’s quite awful and prevents them from smiling candidly. Otherwise, dentists will be out of a job. If you consider yourself unfortunate when it comes to your smile, you can now opt-in for this type of accelerated orthodontics. Second, there are various medical conditions that require orthognathic surgery. In other words, this is not merely a cosmetic procedure done by rich Hollywood stars. What is teeth straightening surgery? Technically known as orthognathic surgery, teeth straightening surgery is often carried out in close conjunction with the application of orthodontic braces in individuals who have acute skeletal deficiencies. This is an “invasive” dental treatment that also realigns the jaw. Because it is “invasive” it requires a hospital setting and use of surgical instruments, such as plates, wires and screws. Nothing unusual for a surgery. It is suited for situations where the braces have failed to achieve the desired results. For instance, individuals with jaw discrepancies and cleft palate would need teeth straightening surgery performed under general anaesthesia by a certified oral maxillofacial surgeon. As per the reports published by the American Association of Oral and Maxillofacial Surgeons, individuals who are affected with any of these conditions would need an orthognathic surgery. and any tumour or pathological condition affecting the alignment of the jaw. Why would you consider having an orthognathic surgery? The main reason why people choose teeth straightening surgery is that it helps in correcting a severe malocclusion. Commonly known as an improper bite, this condition may be leading to functional disputes in regular behavior like chewing food, speech problems and even sleep apnoea. Some people also experience extreme discomfort, headaches, joint ache and gum problems. What is the perfect time for a surgery? There are many kids who have peculiar orthodontic disputes or birth conditions which demand an immediate jaw surgery. But, in general, it is more appropriate to conduct teeth straightening surgery once the child’s teeth stop growing. In the case of girls, this age is 13 to 15 years whereas in the case of boys the ideal age is from 16 to 18 years. It is imperative to note that an early detection of different orthodontic problems may help prevent the need for the invasive treatment altogether. 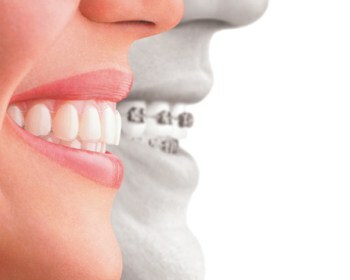 An individual is required to wear custom-crafted braces for about 9 to 18 months before the orthognathic surgery. Once this elaborate invasive treatment is completed, the jaw is left to recover, and the dentist aligns the teeth and subsequently removes the braces. The whole procedure which may start with the installation of braces and end with the final removal of braces including the teeth straightening surgery may take a period of 1 to 3 years. What are the risks associated with teeth straightening surgery? The orthognathic surgery normally ranges from a span of 1 to 3 hours and involves general anaesthesia that usually carries the downsides of any invasive treatment. If you opt for this surgery, you are invariably vulnerable to swelling, pain, infection, bleeding and adverse impacts of anaesthesia. It may also damage the gums and bones that are located in proximity to the affected area. Though, the chances are very low when the operation is executed by an expert using state of the art technologies. The anaesthesia itself can lead to numbness in the affected area that is expected to subside within a short while. You would need to stay in the healthcare center for a day or two and the whole recovery time may extend to well over 6 months. You can mitigate the risk factors by strictly following your doctor’s advises and recommendations. In the case of children, it is advised to brush after every single meal with the aid of a gentle toothbrush and these small things helps in reducing the complications to a great extent. What is the cost of teeth straightening surgery? If you are not insured and living in the United States, the cost of the orthognathic surgery would be somewhere around $20,000. In addition, if further complications arise, your total tap may quickly reach the $40,000 mark. Factors other than orthodontics, such as acuteness of the jaw misalignment and the type of surgery required can cause a real difference in the fees you are required to pay. Plus, the healthcare center, the complexity of your oral condition and recovery treatments also play a critical role in determining the cost of the surgery. The teeth straightening surgery should be regarded more as a medical procedure rather than a cosmetic surgery. Therefore, early signs of teeth and jaw misalignment should not be ignored. Also, this surgery is meant to prevent further possible complications. So, even though it is expensive, you should keep in mind that if disregarded, it can end up costing you even more. This is also the reason why there are various health insurances that attempt to cover at least a part of the orthognathic surgery costs. Each insurance company has their credibility needs, and some offer more coverage than others. So, you will have to look for a reputed insurance provider and understand what it would cover and what you would have to pay before you begin to consider this surgery. At What Age Do Wisdom Teeth Come In?